What Are the Health Benefits of Cooking With Fresh Garlic? 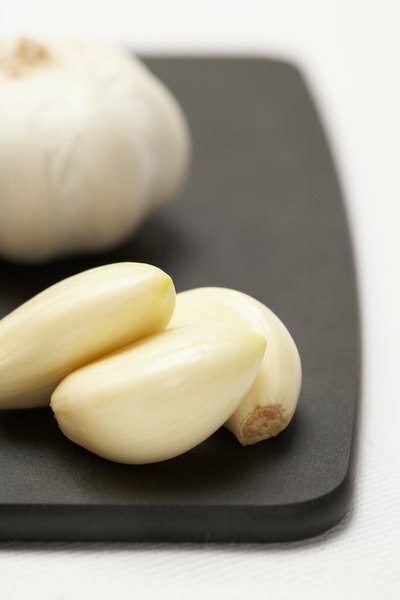 Fresh garlic provides blood thinning benefits. Garlic, a native herb of Asia, has been a part of culinary history for about 5,000 years. 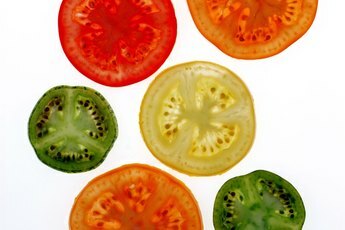 At least 20 varieties are available in green, white and purple colors. Garlic is easy to grow in a moist, sunny spot and it can be stored for 3 to 4 weeks at room temperature or up to 7 months in the refrigerator. Cooking with fresh garlic is an aromatic delight and adds distinctive flavor and a variety of health benefits to your favorite dishes. When you cook with fresh garlic, you activate garlic's healthy components, known as organosulfur compounds, by chopping or crushing it. Breaking open the cells within a garlic clove releases an enzyme that forms allicin, which then breaks down into several sulfur-containing compounds responsible for many of garlic's health benefits. The enzyme is sensitive to heat, notes the Linus Pauling Institute, so to derive the most benefit from it, allow your chopped or crushed garlic to stand at room temperature for about 10 minutes before cooking. Also, less cooking time helps retain more of the health benefits of garlic. In recipes that use garlic with onions or other vegetables, add garlic last to shorten the amount of time it cooks. Your diet will provide you with added cardiovascular benefits, such as decreased risk of blood clots, when you cook with garlic, according to a study published in the 2009 issue of the journal "Pharmacology." The test tube study found that garlic, Allium sativum, and a closely related plant, Allium ursinum inhibited blood clot formation by preventing platelets from sticking together. Garlic showed comparable effectiveness to a common blood-thinning drug. Researchers noted that the active ingredient in garlic is fat-soluble, making olive oil or another healthy cooking oil a perfect pairing with fresh garlic for your next garlic-infused dish. Fresh garlic may lower blood pressure and cholesterol, according to the Kansas State University Extension Service. An animal study published in the May 2012 issue of the journal "Inflammopharmacology" found that garlic inhibited the hormone angiotensin, which raises blood pressure by causing blood vessels to constrict. Inhibiting sodium movement is another mechanism by which garlic lowers blood pressure according to a tissue culture study published in the July 2012 issue of the journal "Bioorganic and Medicinal Chemistry." In the study, allicin was effective, but not its derivitives, S-allylcysteine, alliin and diallyl sulfide. A study of human cancer cells suggests that garlic extract may inhibit liver cancer. Researchers of the study, published in the November 2012 issue of the journal "Oncology Reports," note that the garlic extract promoted oxidation and interfered with energy production in the cancer cells. 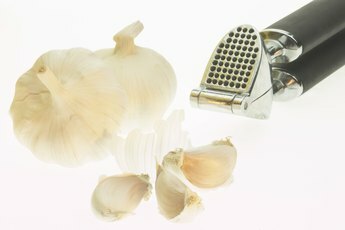 In a 7-year clinical trial of nearly 100,000 participants, dietary garlic use showed weak protective benefits against colorectal cancer in women, but potentially the opposite effect in men. The study was published in the August 2012 issue of the journal "Cancer Causes and Control." Is a Daily Dose of Garlic Good for Your Health? 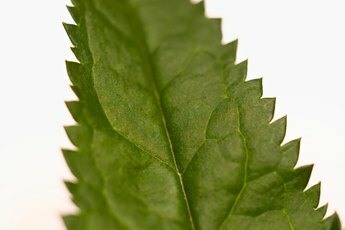 What is Eucalyptus Tea Good for? 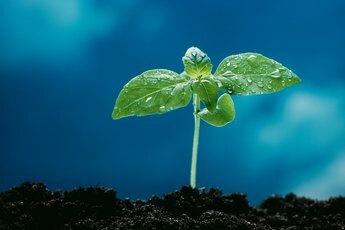 What Is the Nutrition Profile of Chlorophyll?